Army Recruitment Rally Under The Aegis Of Headquarters Recruiting Zone, Chennai, Will Be Conducted By Recruiting Officers (Headquarters) Chennai, From 7th To 17th June, 2019. So Interested People Can Participate This Rally. A. Number Of Vacancies And Name Of Posts. 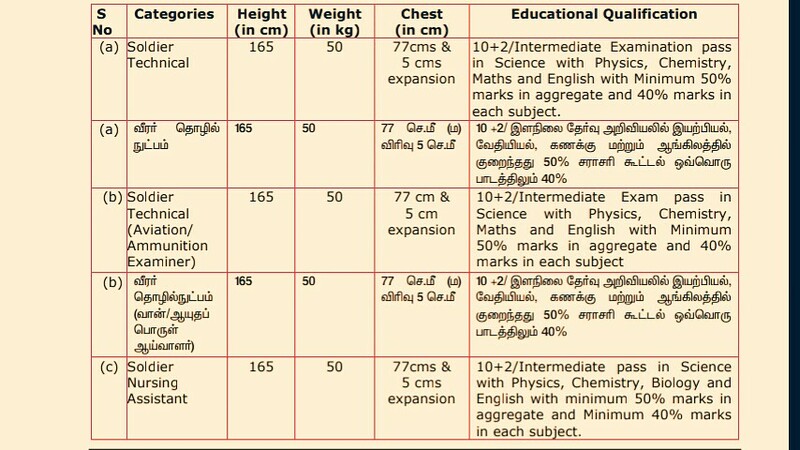 Recruitment Rally, NEYVELI 2019→Kindly Do Check Out The Images Below For Name Of The Post, Physical Measurement (Chest, Weight & Height) & Educational Qualifications. B. 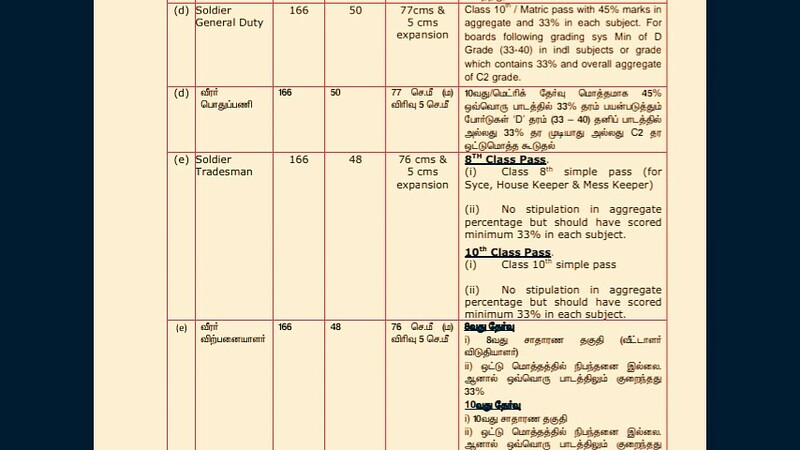 Eligible Criteria For Recruitment Rally NEYVELI 2019. Age →Check Out The Above Image's. Mode Of Examination/Selection Process →Physical Fitness Test/Physical Measurement Test/Medical Tests/Common Entrance Examination. Last Date For Online Application Form Submission →18th Of May, 2019. Now Apply For NEYVELI Recruitment Rally 2019.